I also remember hearing about the end of the Rosenberg saga. Ethel and Julius Rosenberg, convicted of conspiracy to commit espionage, had exhausted appeals for clemency. On June 19, they were strapped to the electric chair at Sing Sing Prison in Ossining, NY, and executed. There were protests around the world, including in front of the U.S. Embassy in Ottawa, but the harsh sentence and refusal of President Eisenhower to provide clemency came in the context of Cold War hysteria. 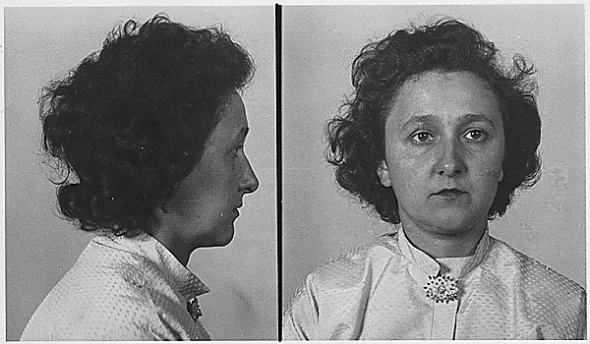 Much has been written and much has been learned since then – including revelations from co-accused, David and Ruth Greenglass and files released from the KGB – about the Rosenbergs’ true role, in particular, the espionage work of Julius Rosenberg and the relative innocence of Ethel (Greenglass) Rosenberg. Would the Rosenbergs have received lighter sentences, if they had pleaded guilty, as co-accused David Greenglass did? The jury of public opinion is out on this point. Greenglass, Ethel Rosenberg’s brother, was sentenced to 15 years, but released after nine and a half. As part of the deal, his wife Ruth was never indicted. The latest book on the subject, Final Verdict: What Really Happened in the Rosenberg Case (Melville House, 2010) by Walter Schneir, reviews and analyses all available material. In this thoroughly researched work, Schneir speculates that the Rosenbergs would have had to plead guilty to everything they are alleged to have done, and what they did not do. Julius, 35, would have had to testify against friends he himself had recruited, and “dozens”, who had been enlisted for espionage among the members of the American Communist Party, under leader Earl Browder. Miriam Schneir, who completed the book after her husband died, asks whether anti-Semitism influenced the verdict, without answering. She notes that the Rosenbergs, and co-accused Morton Sobell, Judge Irving R. Kaufman, prosecutors Irving Saypoll and assistant Roy Cohn, and the main government witnesses were Jewish, but there were no Jewish jurors. While in the trial they claimed to have been used by the Rosenbergs, the Greenglasses were “devoted intelligence agents who did as much as they were capable of doing, given David’s limited knowledge, to provide atomic information to the Soviet Union. Julius Rosenberg appears to have acted as courier for the Greenglasses in January and February 1945. Ethel’s alleged role in the conspiracy, according to her brother David and sister-in-law Ruth, was in typing his handwritten notes of supposedly descriptive material on the high-explosive lens used in the atom bomb, gathered by David Greenglass while he worked in Los Alamos. In his initial July 1950 confession, David Greeenglass said nothing about giving lens mold sketches to Julius in January 1945. He first described passing some information to Julius on a city street in September, not in the Rosenbergs’ apartment. And he never mentioned Ethel Rosenberg’s alleged typing. England. Fuchs had supplied information to the Soviets from American, British and Canadian sources during and shortly after World War II. He was released after serving nine years. This year is not only the 100th anniversary of Ethel Rosenberg’s birth, it’s the centenary of Billie Holiday’s birth. But what’s the connection between these two American women? Ethel Rosenberg came from a stable but financially poor family who lived in New York City’s Lower East Side. An aspiring actress and singer in high school, she ended up working as a typist for a shipping company. Her history of organizing strikes may well have prevented her from career advancement. In 2008, Sobell said he believed she was aware of her husband’s work, but took no part in it. Billie’s life was tragic from beginning to end. By the age of 14 she’d been raped twice, worked the streets as a prostitute and been sent to a harsh reform school, before being discovered as a singer. Drugs and alcohol and a predilection for bad relationships contributed to her demise. Her connection to the Rosenbergs, somewhat indirect, stems from her most poignant song, Strange Fruit. It refers to lynchings – the estimated 5,000 U.S. blacks put to death by vigilante mobs between the end of the Civil War and the 1960s. Abel Meeropol, a musician and Communist Party member, wrote the song, and played it for Billie Holiday at New York’s Café Society. Meeropol later adopted the Rosenberg children, Michael and Robert, after they were orphaned. In writing about this seemingly strange confluence, Robert Meeropol notes that his mother had such a special voice that she would be called out of class at high school to sing the national anthem. 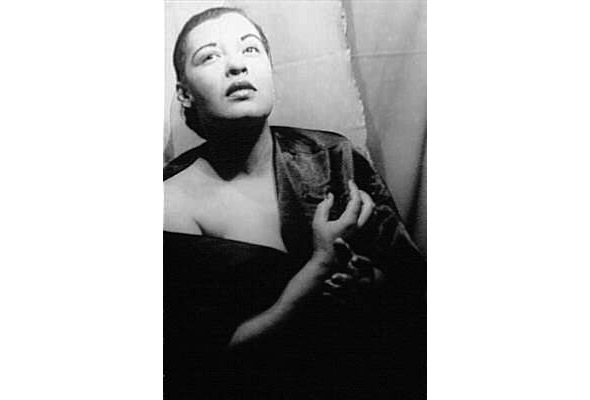 In spite of pressure to avoid singing Strange Fruit, Billie Holiday kept it in her active repertoire. She was hounded and arrested in 1947 for drug possession, and her conviction disrupted her career for the rest of her life. She was barred from singing in New York clubs and died in a hospital bed at age 44. In Robert Meeropol’s words, his mother Ethel was “legally lynched.” A lawyer, Meerpol founded the Rosenberg Fund for Children, which offers support for children of targeted American progressive activists. His brother, Michael, is a retired economics professor. In 2013, U.S. soldier Bradley Manning was sentenced to 35 years for giving more than 700,000 classified files to WikiLeaks, the biggest breach of secret data in U.S. history. Former CIA counter-intelligence officer Aldrich Ames is serving a life sentence for his years of spying for the Soviet Union and Russia, which included identifying confidential sources. In a last-minute deal, he pleaded guilty in 1994 so his wife would get a relatively light five-year sentence. In 2001, Robert Phillip Hanssen, who spied for the Soviets for 22 years, was sentenced to 15 life terms. He is in solitary confinement. Morton Sobell, accused with the Rosenbergs, pleaded guilty to conspiracy to commit espionage, and served 17 years and nine months. Be the first to comment on "Ethel Rosenberg, Billie Holiday lynched by the system"